I stumbled upon this book because it was included on a Buzzfeed list of “Essential Asian-American Authors.” I like when lists like this come out to help make readers aware of great books that exist by authors who aren’t white males (… which unfortunately we need lists to highlight these authors). My favorite, extensive list that consists of books about or written by people of color is here, but I like that Buzzfeed typically includes a brief synopsis and cover art of the books on their lists. 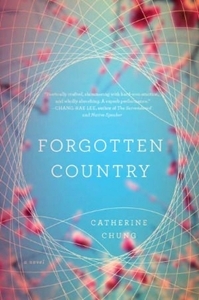 Forgotten Country by Catherine Chung is my first reviewed book to receive a half-starred rating on my blog! In the weeks leading up to me finally writing this review, I kept bouncing back between giving this book 3 or 4 stars, so voila: I have decided to bequeath 3.5 stars to this novel! Forgotten Country is a book that highlights the intricacies of dealing with tragedy with a Korean family that moves to America. The book is told from the point of view of the adult Korean daughter who struggles with the expectations placed upon her since she is the first-born child in her family and the complicated way that she enforces these expectations for herself more than her family members do. At the heart of this novel is the complicated sibling story of Janie (the older sister and narrator) and her younger sister, Hannah, and the high expectations that they have for themselves and for each other. Anyone who has trekked through a difficult relationship with his or her sibling(s) that persists into adulthood will relate to this major plot line. My favorite parts of this novel are when the author interweaves the plot points of the story with Korean folklore. I felt like this style worked better with this storyline than when a similar storytelling method was employed in We Were Liars. 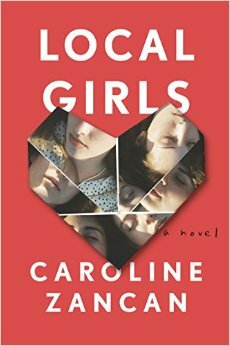 This version was definitely easier to follow in audiobook format than We Were Liars. The story also often features vignettes into the narrator’s childhood, the most poignant of which is when she is forced to have an extensive dental surgery after getting into a race-related fight on her school playground. I have never had a book make me squeam as much as I did when I listened to this vignette. The promotions surrounding this novel mistakenly indicate that it’s a “mystery” novel that follows the sudden disappearance of Hannah, the younger sister. However, what really drives this story is how Janie tries to understand her familial responsibility as she sifts through her family’s dynamics. The “mystery” is solved fairly early into the novel, does not carry the plot, and definitely is not the type of story that is conveyed when something is billed as a mystery. “Mystery” novels are often quick, exciting, and thrilling, but Forgotten Country is a very quiet novel about the norms created by a single Korean American family. As an aside, here’s another great Buzzfeed book list that was recently released! I added a lot of these to my TBR list – let me know if I should aim to tackle any of them sooner rather than later. Publication Date: 1 March 2012 by Riverhead Books. Format: Digital Audiobook from AudioGo (now defunct). This entry was posted in audiobook, fiction, Review and tagged audiobook, audiobook review, audiogo, book, book review, catherine chung, emily woo zeller, fiction, forgotten country, korean, korean american, korean fiction, penguin, penguin publishing, riverhead books on June 14, 2015 by Bri with a book blog.